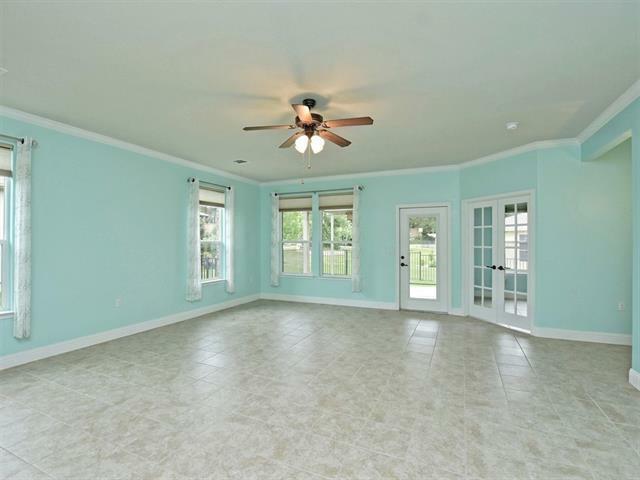 Pretty courtyard patio in front of this Surrey Crest model. 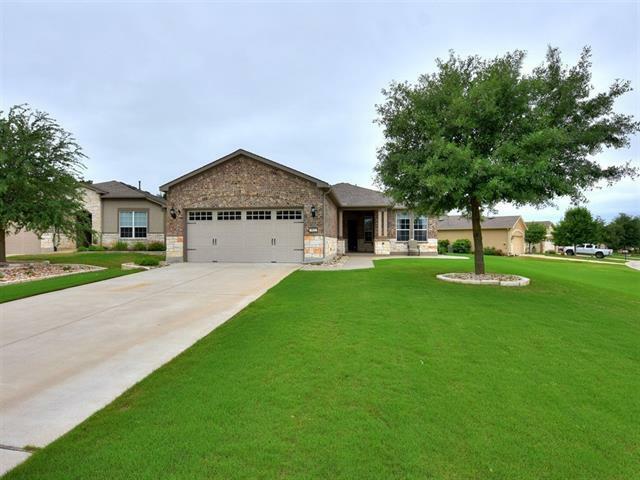 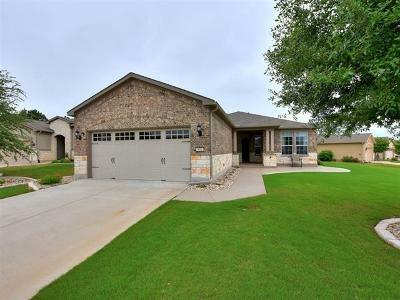 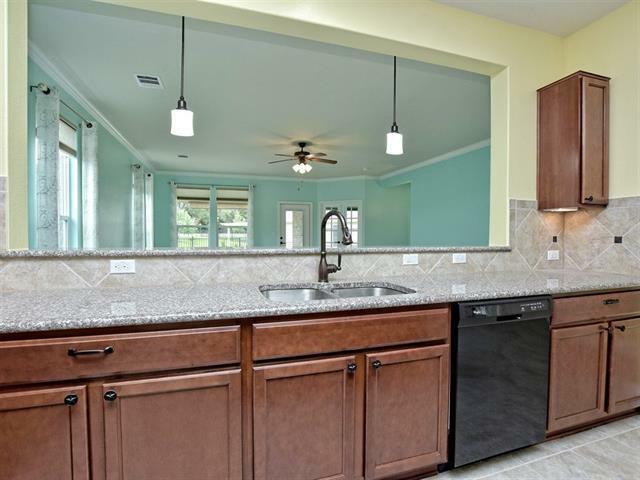 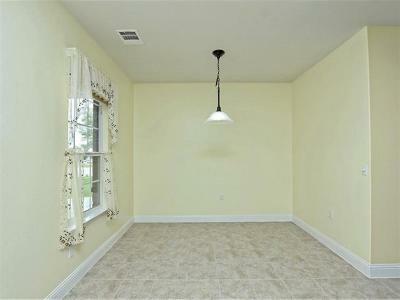 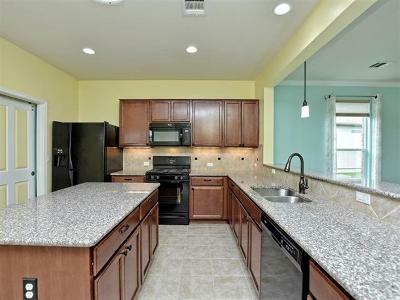 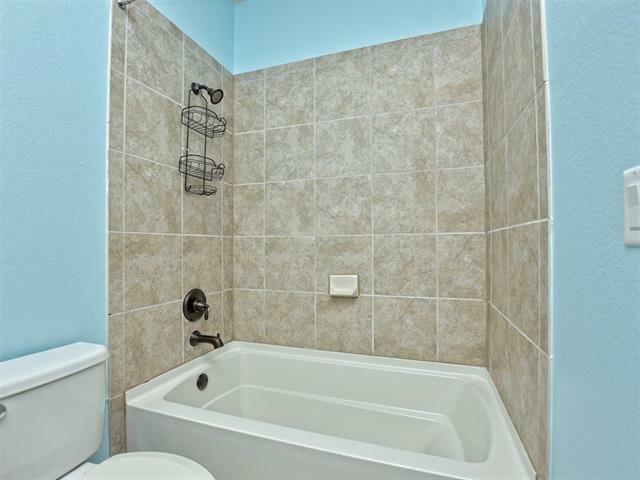 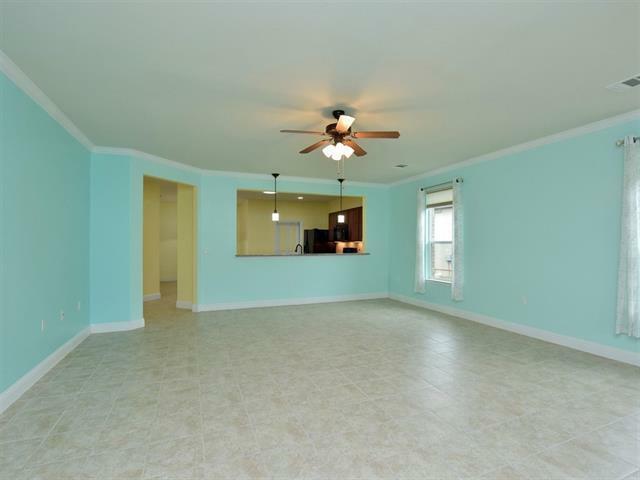 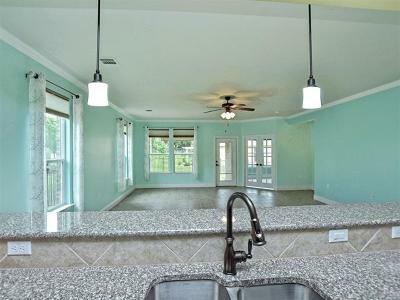 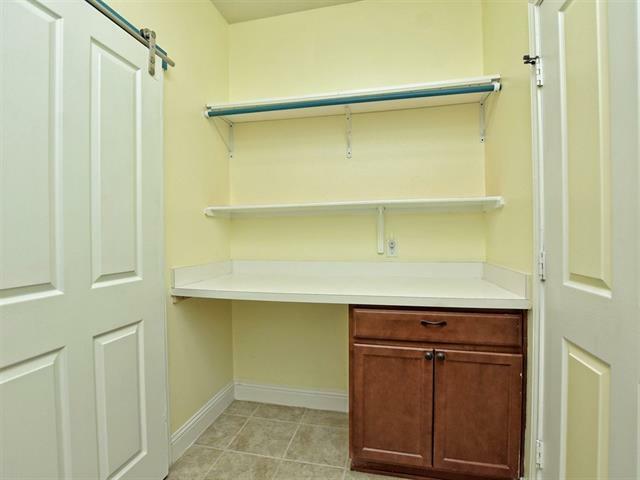 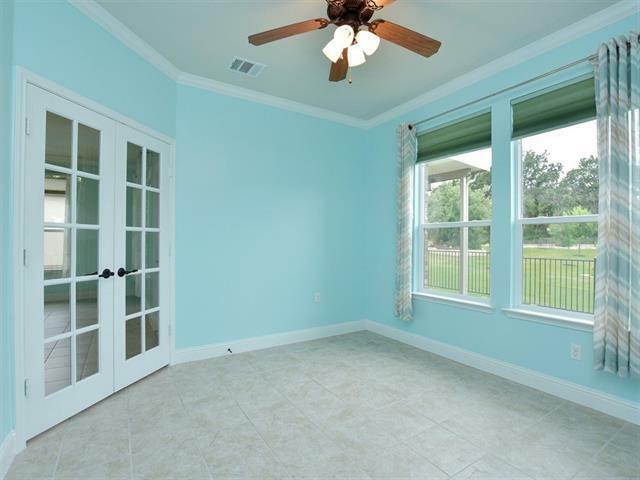 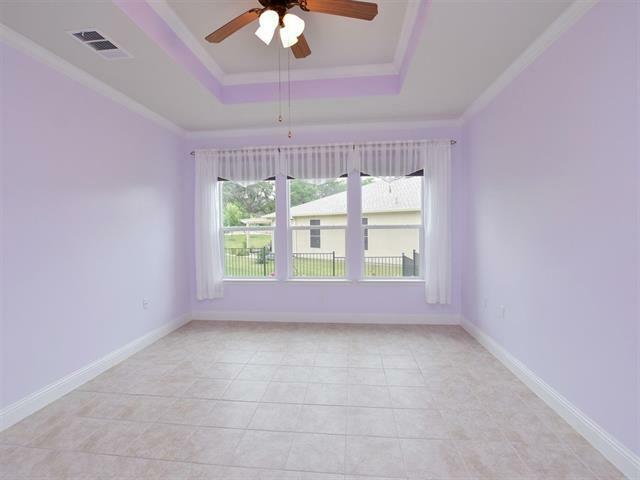 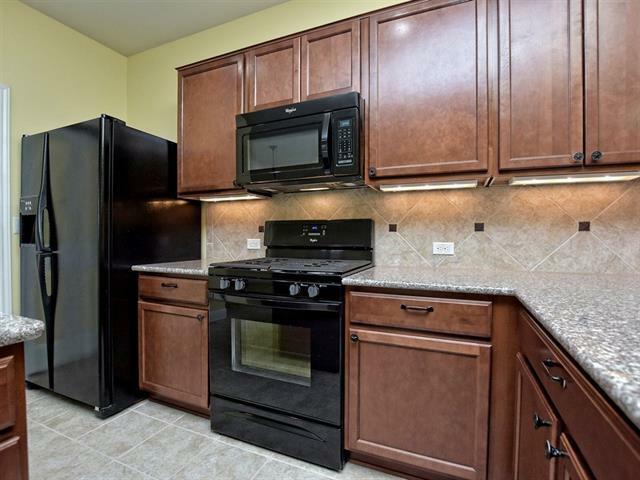 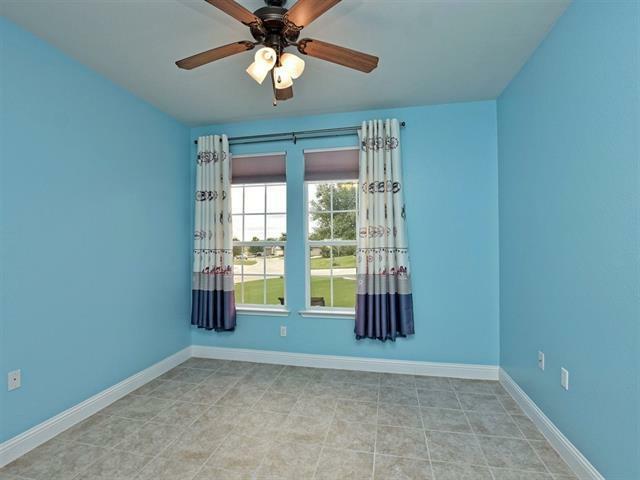 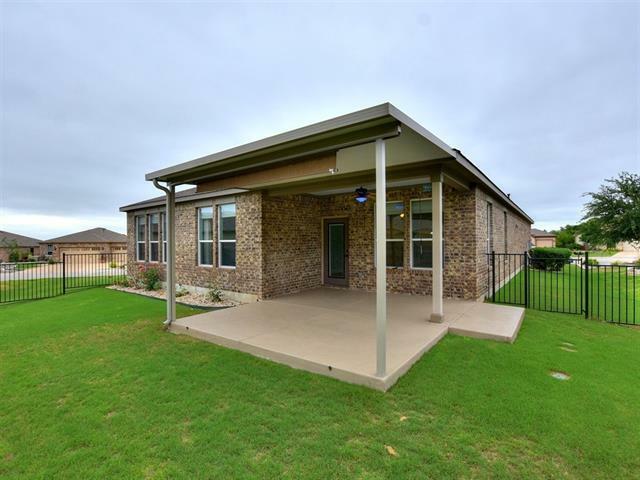 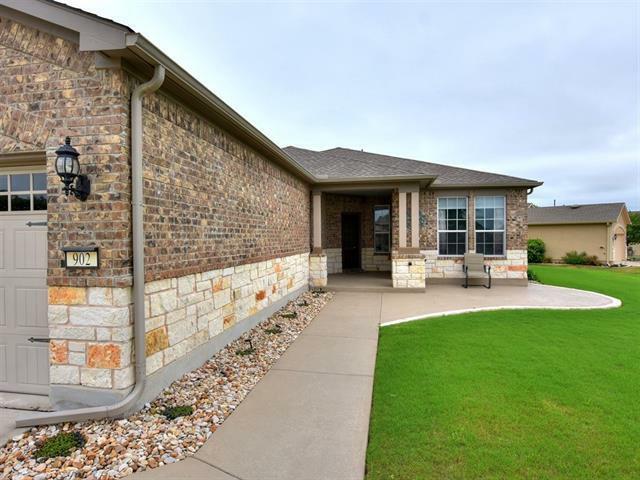 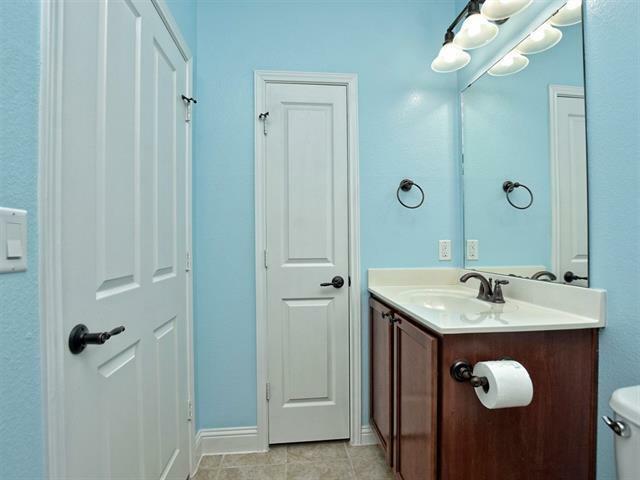 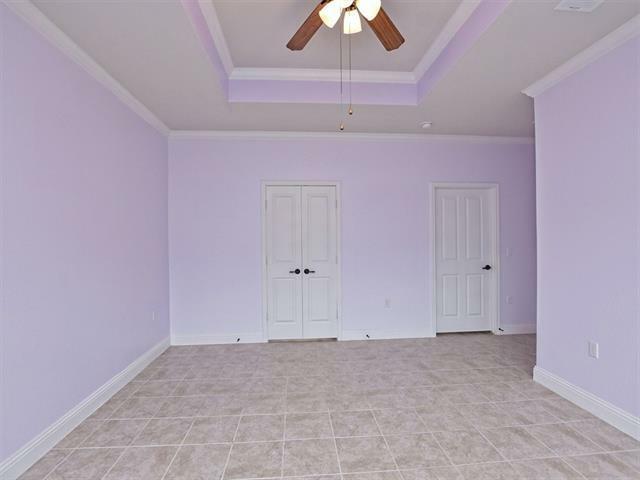 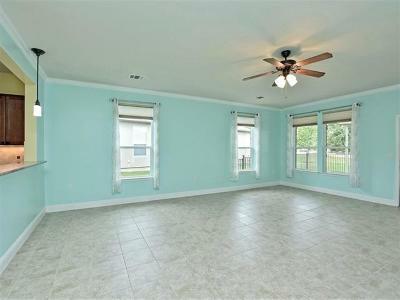 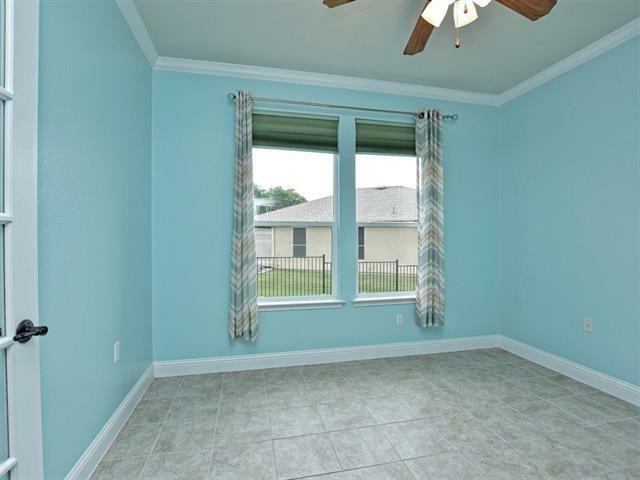 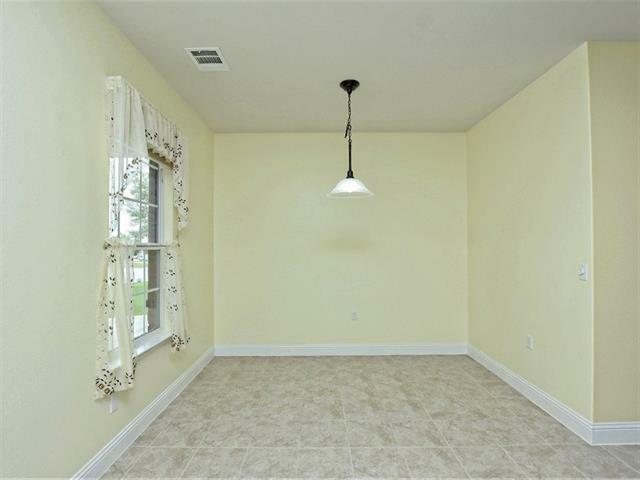 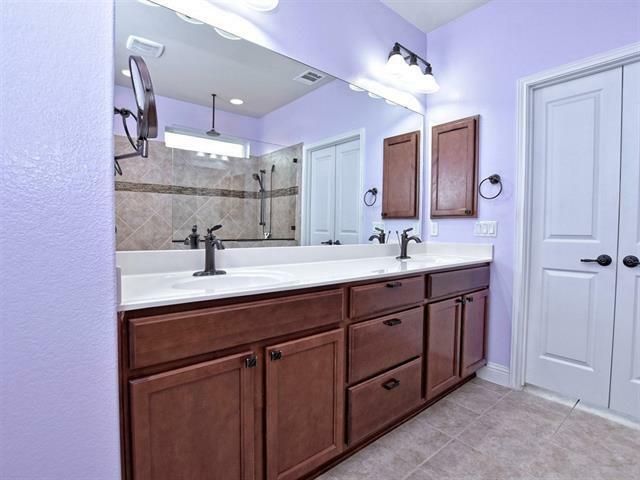 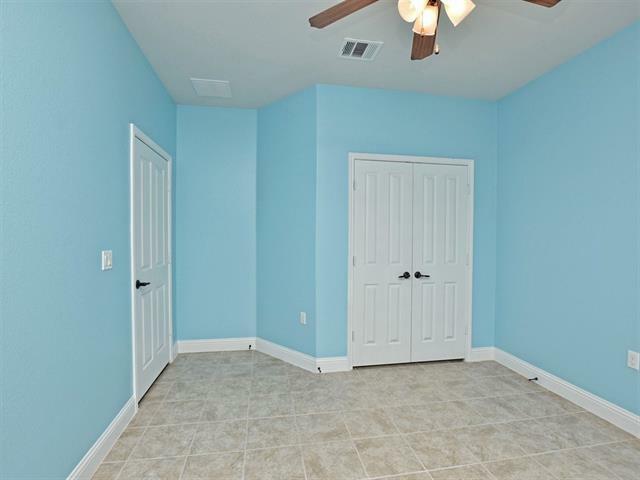 Crown molding in great room & study and tile flooring throughout entire house. 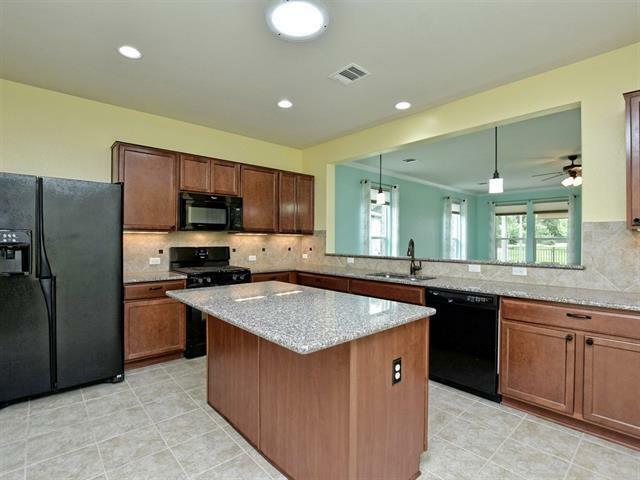 Eat-in island kitchen with granite counters, solar tube. 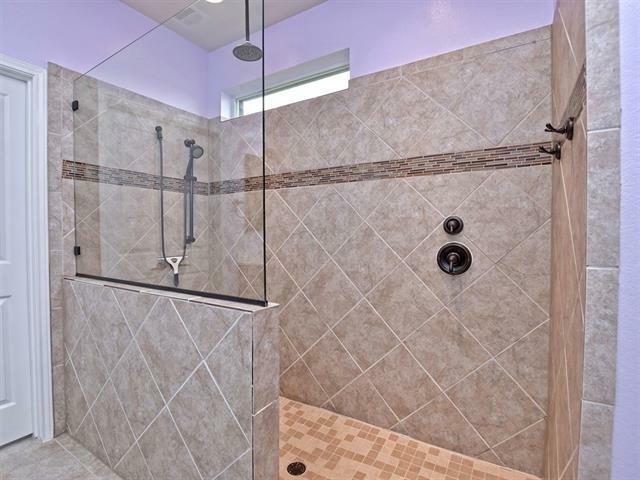 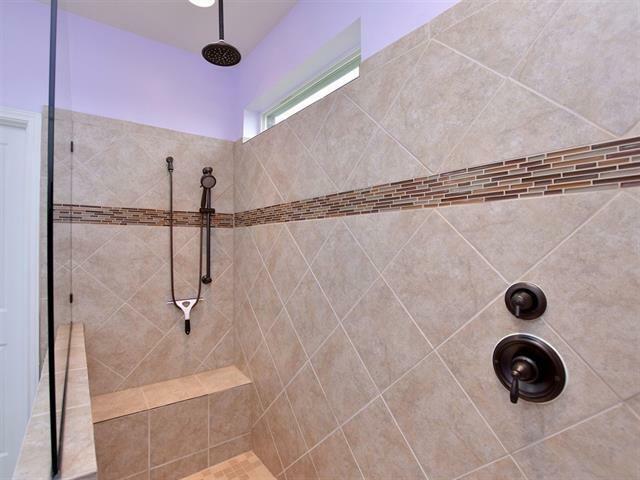 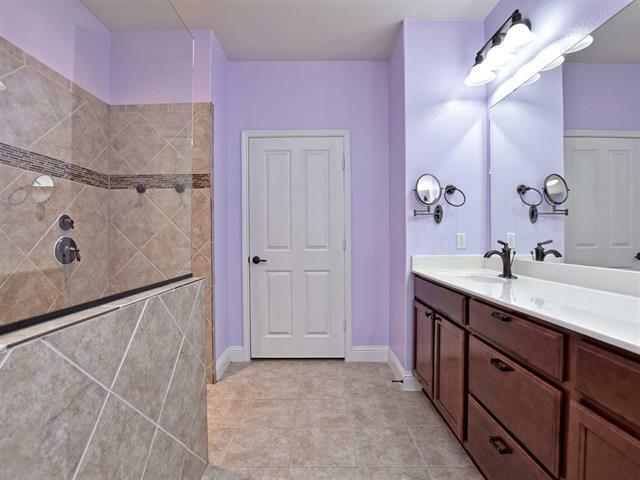 Trey ceiling, dual vanity & walk-in tiled shower in master. 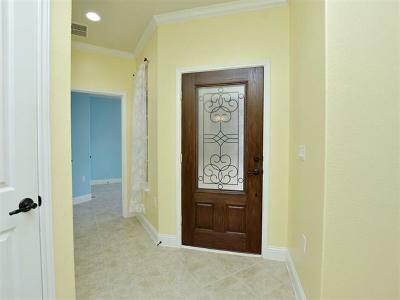 Sliding barn door from kitchen to laundry which has extra cabinets & shelving. 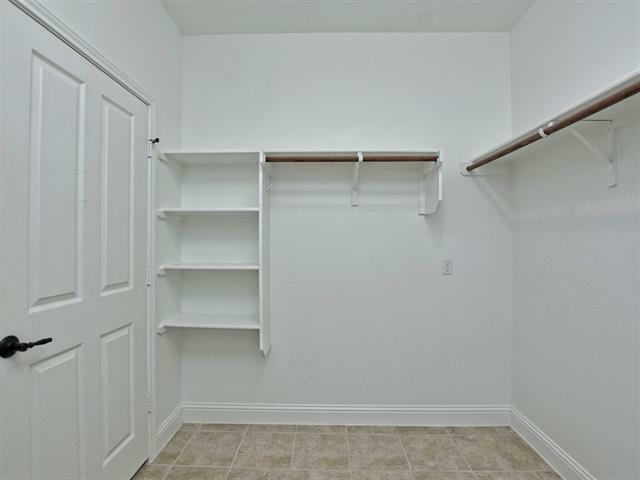 Storage racks in garage. 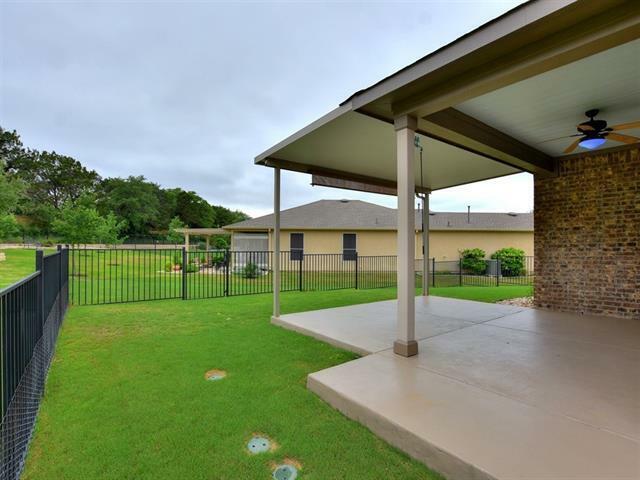 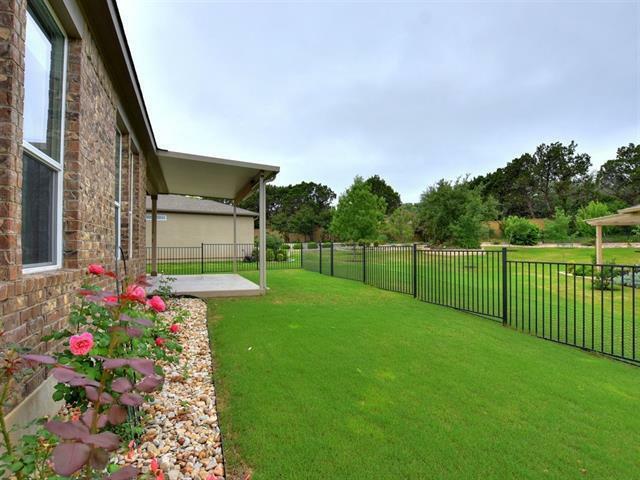 Large corner cul-de-sac yard with extended covered patio-and fenced to boot.Home has been pre-assessed and all findings have been corrected.